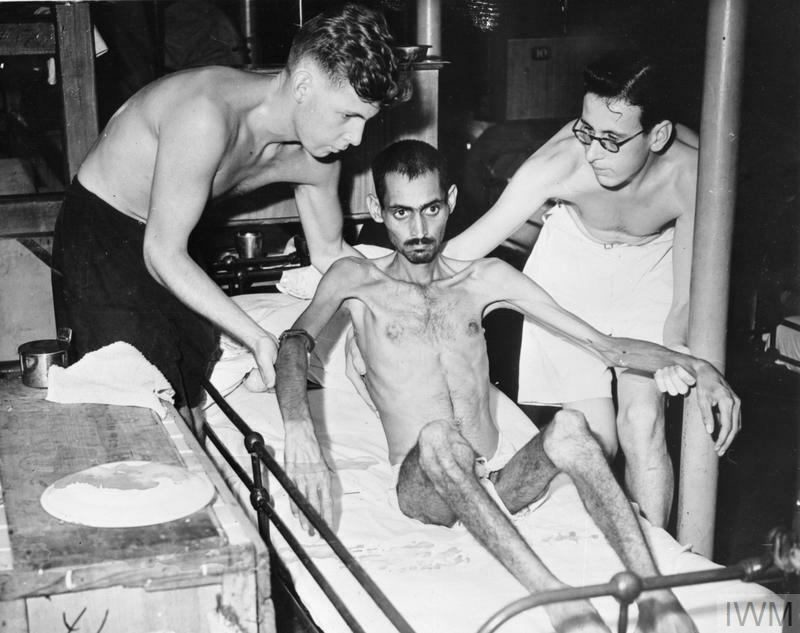 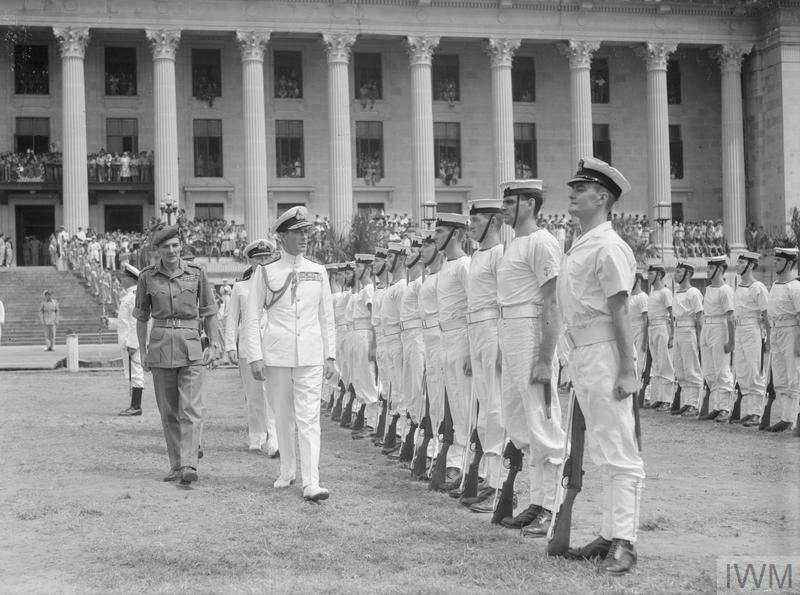 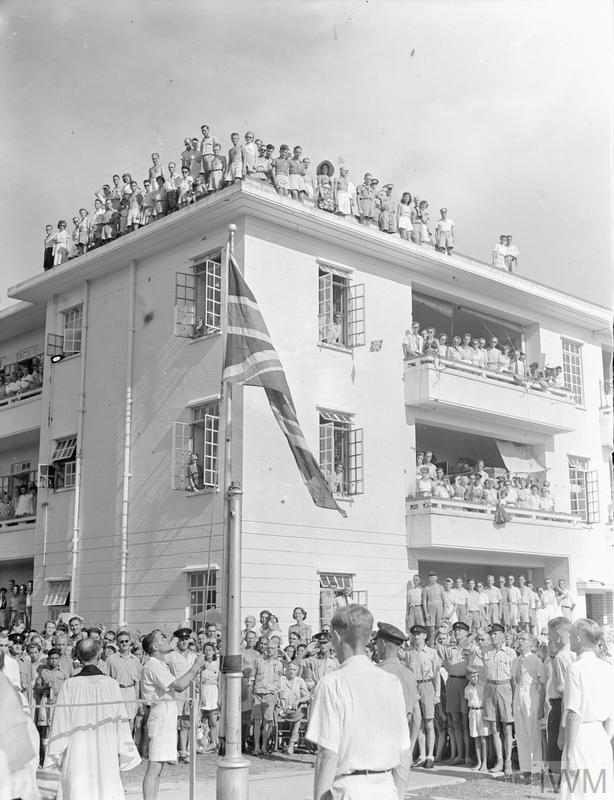 Occupation and Captivity February 1942 - August 1945: Living conditions at Stanley Civil Internment Camp, Hong Kong (photographed after liberation in 1945). 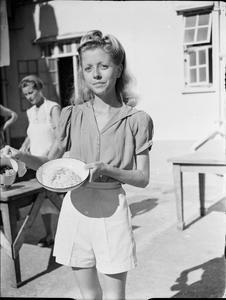 An emaciated internee, Miss Wendy Rossini, with the small quantity of rice and stew which served as rations for five people. 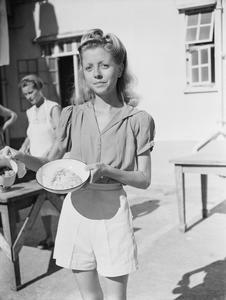 An emaciated internee, Miss Wendy Rossini, at Stanley Civil Internment Camp in Hong Kong, photographed after liberation in 1945 and showing the small quantity of rice and stew which served as rations for five people.